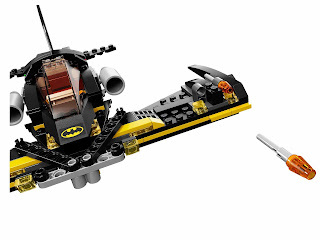 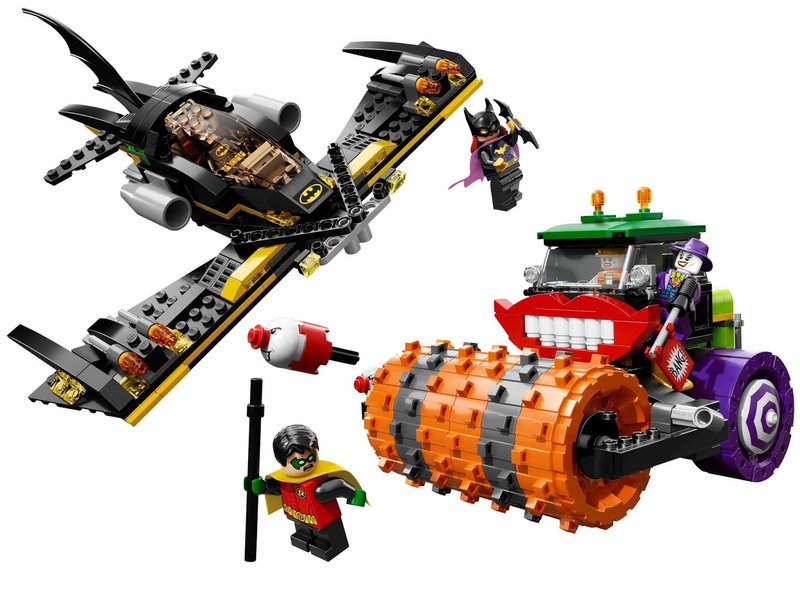 come with the joker’s steam roller and the batwing. 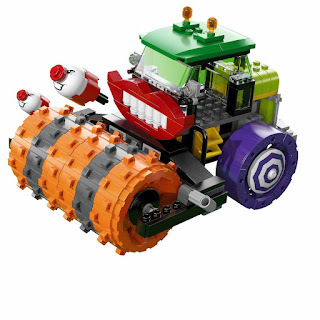 the roller has a big roller, flickable laughing gas bombs and a big smile face. 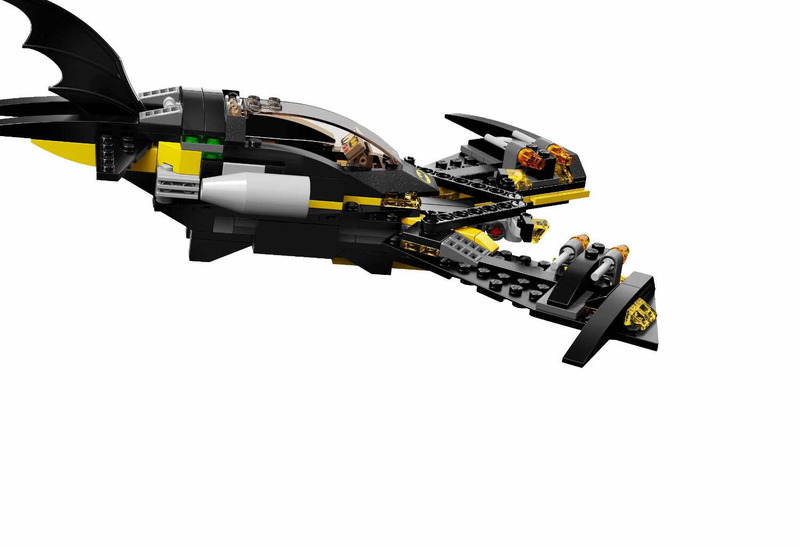 the batwing has 4 flick missiles, an openable cockpit and sweepable wings. 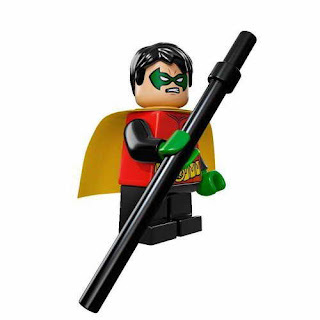 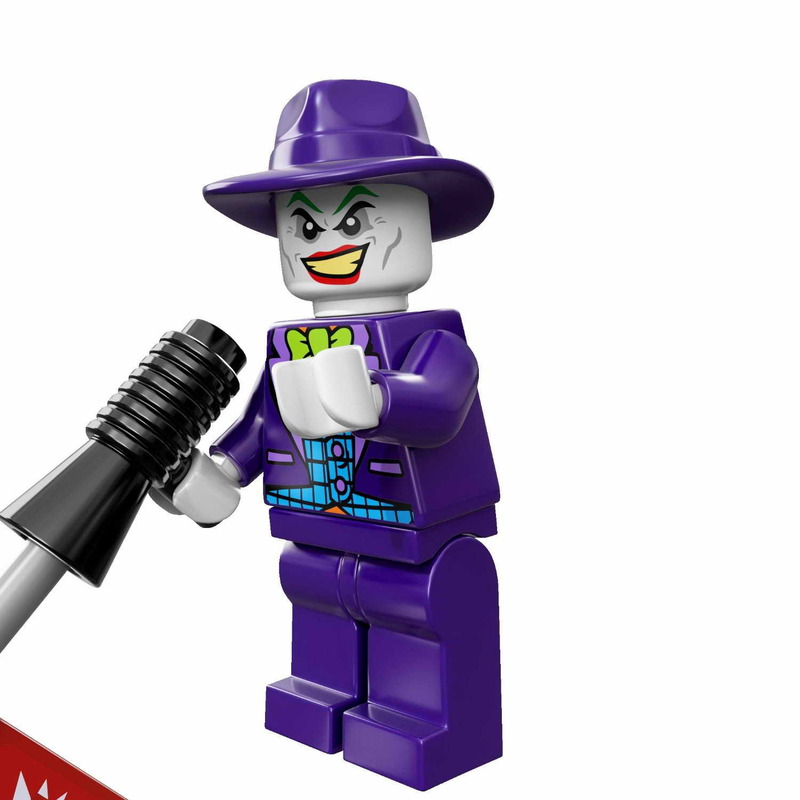 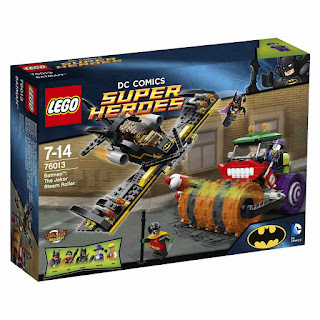 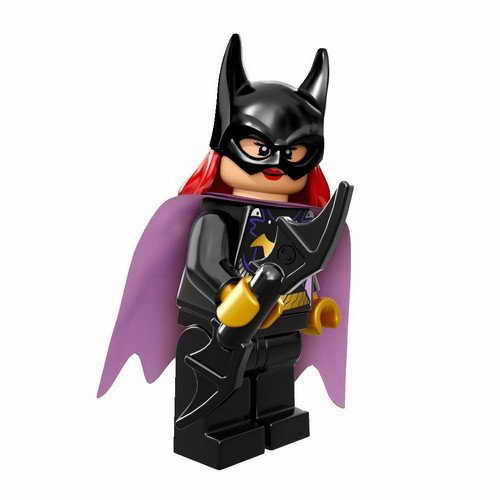 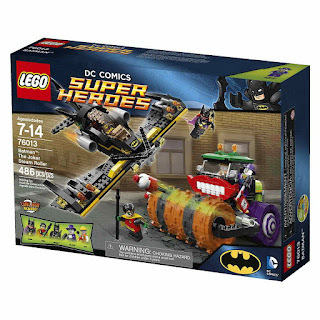 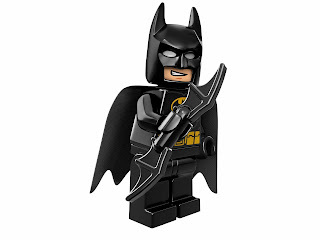 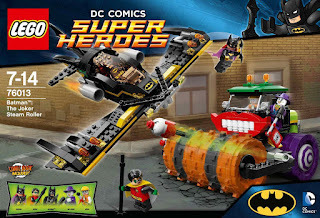 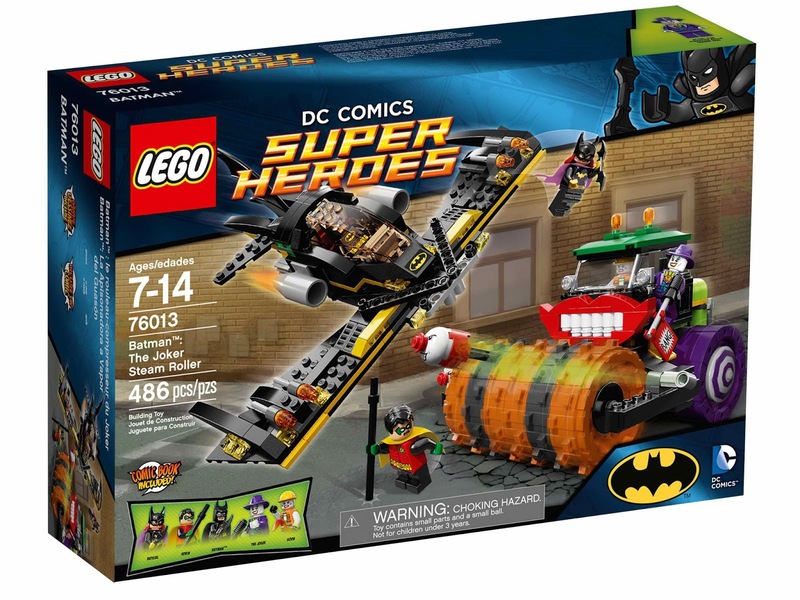 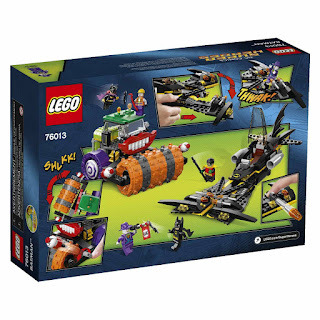 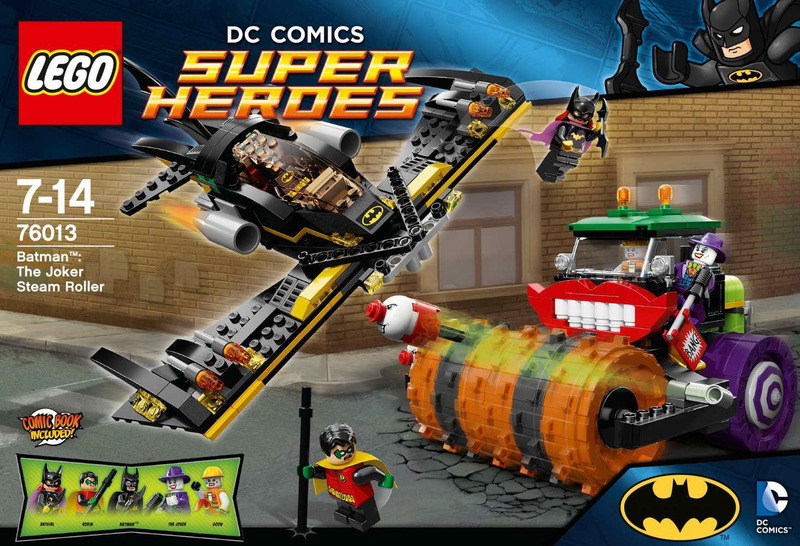 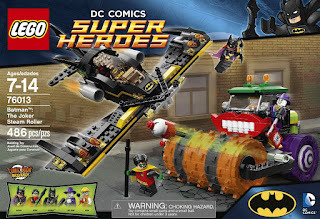 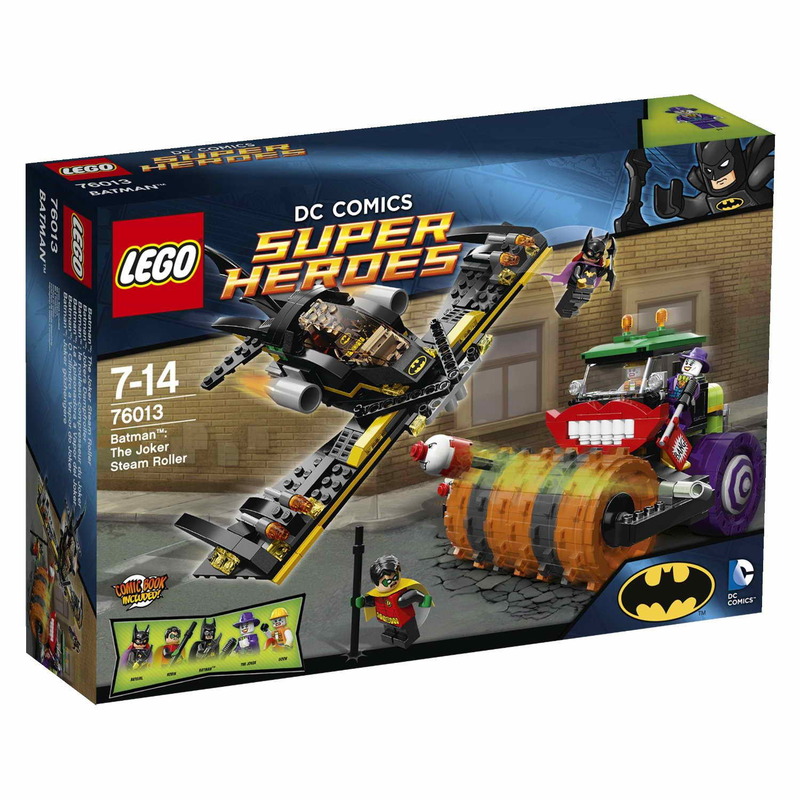 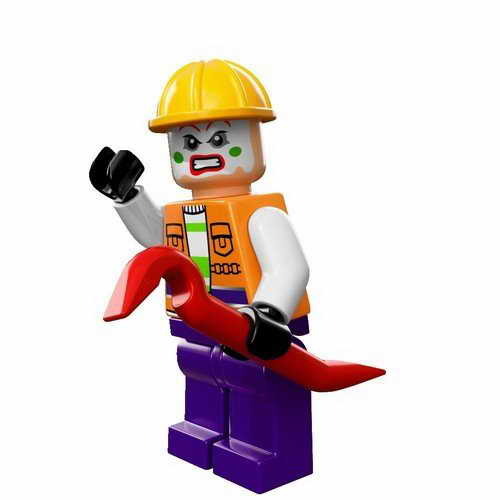 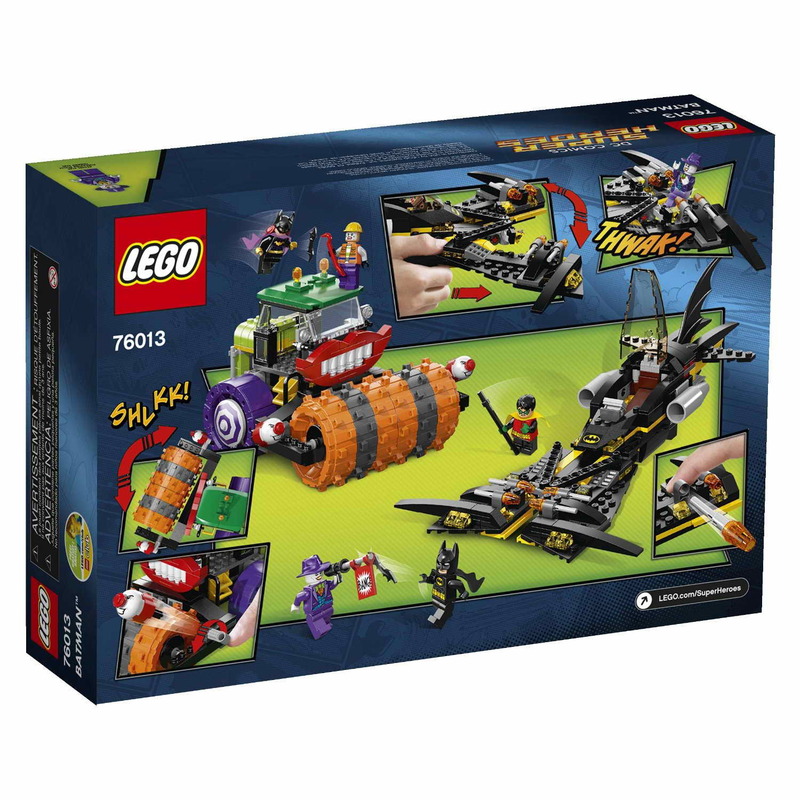 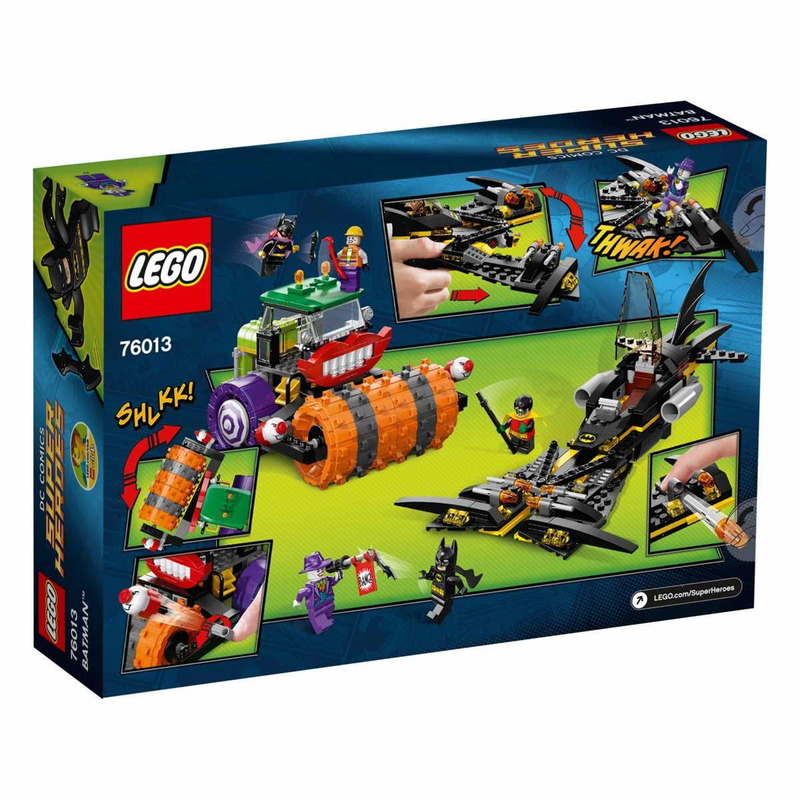 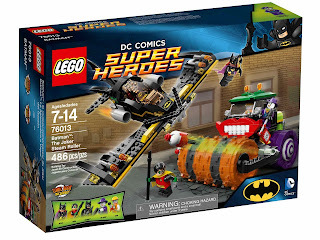 minifigs included a batman minifig, a batgirl minifig, a robin minifig, the joker minifig and a joker goon minifig.